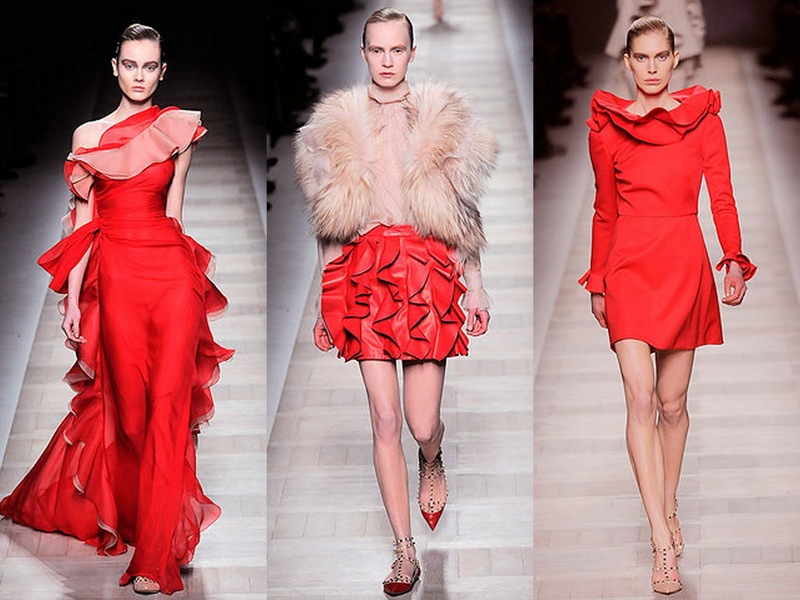 Several of the 2010 Fall RTW collections featured the color red. 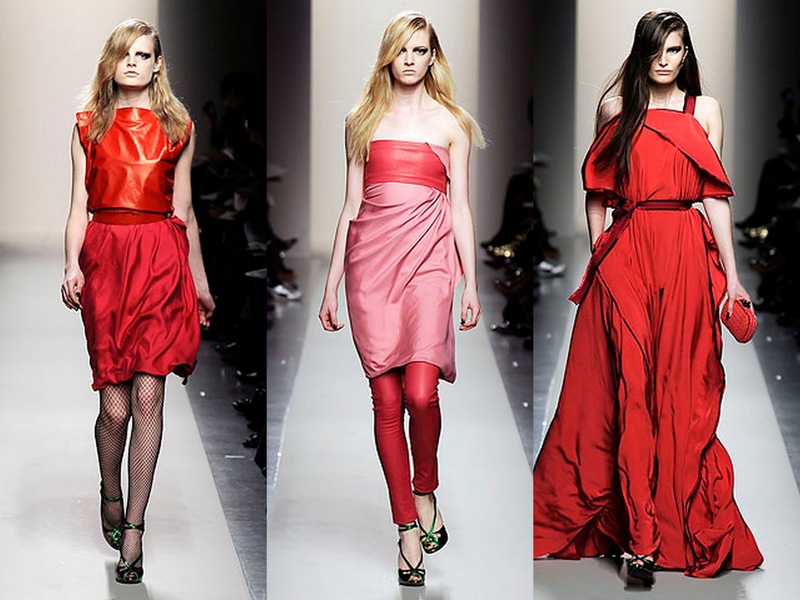 Red is such a bold, confident, and fun color to wear. I found this red and white BCBG blouse in the back of my closet and it seriously has to be at least 3 or 4 years old. To create an updated look, I added a wide black belt. By the way is anyone else out there as crazy about wearing belts as I am? I feel like I wear belts all the time. Anyway, I wore this comfortable outfit on a beautiful Sunday afternoon in Boston. 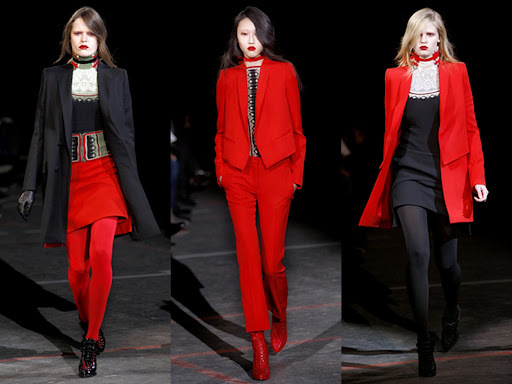 And here is an article from the online edition of Saturday's WSJ titled : "Red is the Color of Confidence"
Do you like wearing red?